Water Aerobics: The New Wave Of Wellness? These days, many older adults are staving off workout boredom by jumping into the swimming pool. Finding a cardio activity that you enjoy is an important part of sticking to a weekly fitness routine and achieving your short and long-term wellness goals. These days, many older adults are staving off workout boredom by jumping into the swimming pool. If you've always had a love for water, aqua aerobics, also known as water aerobics, is a great way to get a full body workout while also taking it easy on your joints. Water aerobics exercise routines typically involve cardio and strength-training exercises traditionally performed on dry land, only they're done in the safety of the water. This includes walking, jogging, jumping and even using free weights in the pool. Water provides more resistance than air so your muscles have to work harder in the pool to push against the resistance than they do when you perform land-based exercises. Despite the extra effort, little stress is put on your joints, making aqua aerobics especially attractive to those who suffer from joint-related pain or are recovering from a joint injury or joint replacement surgery. With the rising popularity of water aerobics, class variations like aqua Zumba, water pilates and pool-based tai chi programs are popping up at pools and community centers across the country. Contact a pool in your area to find out what classes they offer. And if you're looking for a real challenge, aqua cycling, which is where you pedal an exercise or spin bike in the pool (called a submersible ergocycle) is a great way to incorporate resistance training into your exercise regime. 1. Water aerobics build strong bones. Experts agree that regular exercise promotes bone health and is key for the prevention of osteoporosis, a disease that effects 50% of women and 25% of men over age 50. According to the Aquatic Exercise Association (AEA), shallow-water aquatic exercises can help build and maintain bone mass. The AEA recommends doing water aerobics exercises in conjunction with walking, stair climbing and strength training for best results. 2. Water aerobics is good for those with low back pain. The AEA maintains that deep-water training (which is when you have no contact with the pool floor) can benefit those with low back pain because "deep water is a non-impact environment and significantly reduces the compressive load on the spine. Deep water is also very effective for training the core muscles, which is important for proper alignment, good posture and back health." Fitness trainer Marietta Mehanni agrees that postural issues are well supported in the water. "Clients often comment on how much better and taller they feel as the water actually creates traction in the joints, including the vertebra of the spine." 3. Water aerobics reduce arthritis pain. The Arthritis Foundation encourages water exercises, asserting that something as simple as walking in water can help arthritis patients move easier with less joint pain, and feel stronger and more flexible. 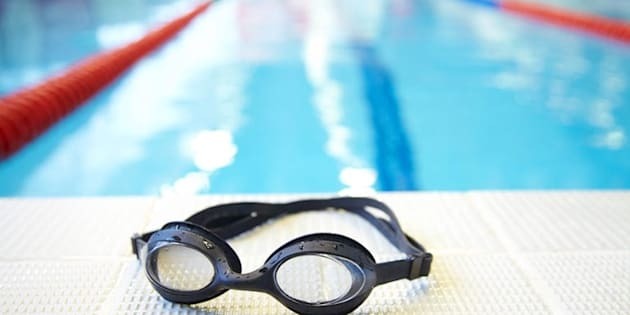 In fact, the foundation's AEA-managed aquatic program offers, "classes designed specifically for individuals with arthritis, related rheumatic diseases and musculoskeletal conditions," says Julie See, AEA's director of education. 4. Water aerobics help with recovery after hip replacement surgery. In one past study researchers found that an inpatient aquatic physiotherapy program had a positive effect on early recovery of hip strength after joint replacement surgery. The positive effects largely stemmed from the buoyancy of water, which reduced body weight up to 80%, placing less stress on healing joints. 5. Water aerobics burn calories. While water aerobics exercises may burn fewer calories than a land-based workout, you'll still reap rewards. According to Mehanni, "a 60-minute workout in the water can burn between 350 to 500 calories." 6. Water aerobics' group environment is a great motivator. There's no question water aerobics is a social experience. An AARP survey studying the exercise attitude and behaviors of adults between the ages of 50 to 79 found that older adults are more likely to maintain their fitness programs if they'd committed to an exercise group or trainer. Jacqueline Pattman, national chair for the Aquatic Therapy Association of Chartered Physiotherapists agrees with the findings. "The peer support that people gain by working with others in the water is very valuable in ensuring they stay motivated and have a sense of belonging." While the impact on weight-bearing joints is greatly reduced in the pool, you will still experience some impact stress. Mehanni suggests wearing water aerobic shoes or non-slip socks for added cushioning, shock absorption and comfort. "If you require arch and foot support in everyday life, you'll likely require the same when exercising in the pool," she says. Though water cools the body more effectively than air, you will still perspire during vigorous water aerobics routines. Because of this fluid loss, Pattman recommends drinking water after your pool session. Re-hydrating will also help prevent overheating, muscle cramps and heat stroke. Abby Driver is a freelance journalist and qualified fitness instructor. Based in Cornwall, UK, she writes for a range of publications on health and well-being.